For Your Android, What Does idoo Video Editor Mean? In the smart phone market in US, Android has been keeping on eating up the market share of iOS of Apple. The latest report of Kantar Worldpanel pointed out that, by the fiscal quarter ended in February 2013, the market share of Android had reached 51.2%, which had exceeded iSO’s 43.5%. While just one year ago, the market share of Android and iOS are 45.4% and 47% respectively. This report also showed the reason why Apple is on the way of developing cheap version of iPhone. Obviously, Android has taken an advantage in the competition with iOS anyway. The greatest features of idoo Video Editor: Easy, Small, Smart. idoo Video Editor is your best video editor for android. Compared to similar software, idoo Video Editor has another big feature which is worth mentioning: all its functions are classified and lay out clearly and in detail. 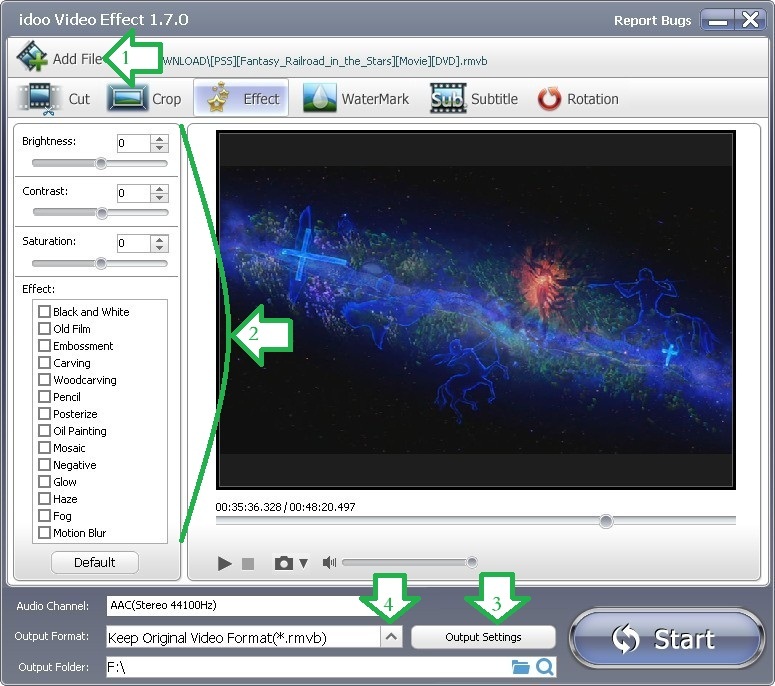 For example, the “Effect” is shown as an isolated function, users can find all effects in it, and they will feel more interactive and inspired when they add effects to their videos. Moreover, the function of preview and screen capture is helpful too. We can preview or capture the screen whenever we need, don’t you think it would greatly improve our efficiency? “Effect” is just a sub function of idoo Video Editor, there are more great functions which will provide users easy and professional video editing services. 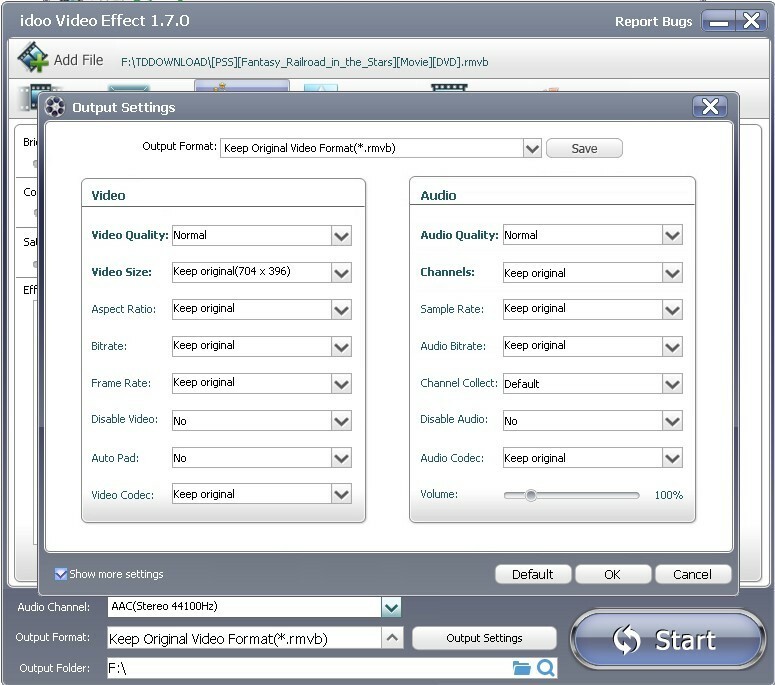 Meanwhile idoo Video Editor is also a powerful video converter, which supports almost all audio/video formats, and it can convert the video format during any stage of editing. More than that, the output formats are clearly classified and you may easily convert videos into formats for Android. idoo Video Editor is an easy-to-use Android video editor. We will illustrate the function of “Effect” by the following example. 4. Click Arrow4, and select the Android format you need from the list. See picture showing above. 5. When you finish all settings, click “Start” to begin editing. Then you may check the output file or edit it. Article Resources Related To 4K Video Editing And Converting Issues(2019) Seven Secrets About Convert 4K Video To Other Formats The Easier Way To Convert 4K Video To 1080P With High Quality How to set video speed by idoo Video Editor? How to Add Watermark to MKV Files? The Best MACBook Air Video Editing Software | MACBook Air Video Editor Download The Best Video Editor for GoPro How to Add Text to MP4? How to Add Effects to TS Files? What Does idoo Video Editor Can Do for Your Tablet Computer? What Can idoo Video Editor Do for Your Facebook? idoo Video Editor, The Best Editor for Your Game Videos For Your Android, What Does idoo Video Editor Mean? What idoo Video Editor can do for YouTube? What can idoo Video Editor do in Windows 8/7/XP? 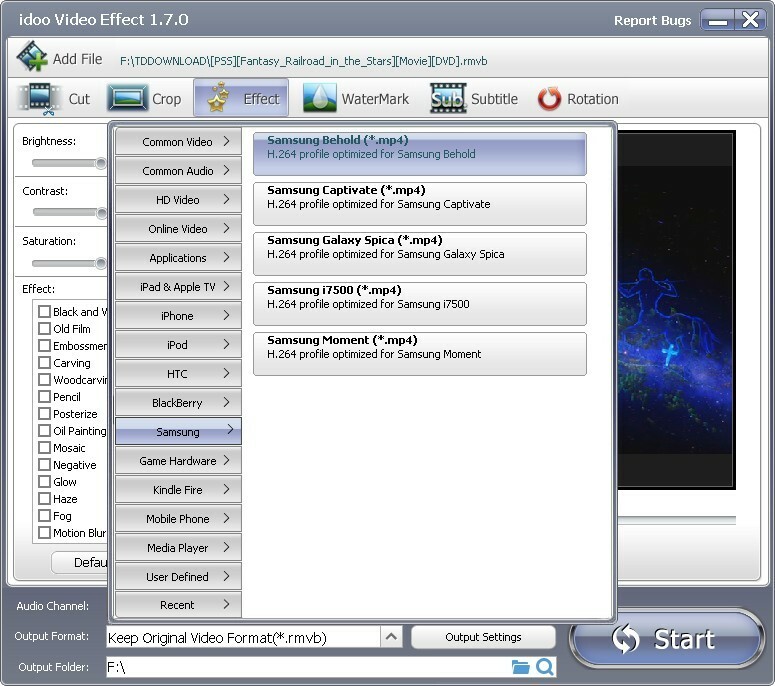 idoo Video Editor: What Does It Mean to Your Samsung Phone How to edit your videos use idoo editing software? Idoo Editor's Tech specs and reference How to cut and trim videos? What Can I Do for you, iPhone 5 and iPhone 5S? How to Add Music to HD Video? How to Add Subtitles to MOV Video? How to Add Special Effects to MOD Video? The Best Windows Video Editor - idoo Video Editor The Good Video Editing Software - idoo Video Editor How to Convert Video to Twitter? How to convert the edited videos into formats for those social networks or media devices? How to preview and capture the screen while adding effects to video? How to add effects to video and convert it into other format at the same time? How to add effects to videos? How to add special effects to videos? How to effect video? how to cut wmv video? how to cut MP4 video? how to cut mov files? how to cut video clips? How to convert and split video for MAC? How to split audio from video? How to split AVI video? How to split movie by idoo video editor? How to split MP4 video files according to the time span?